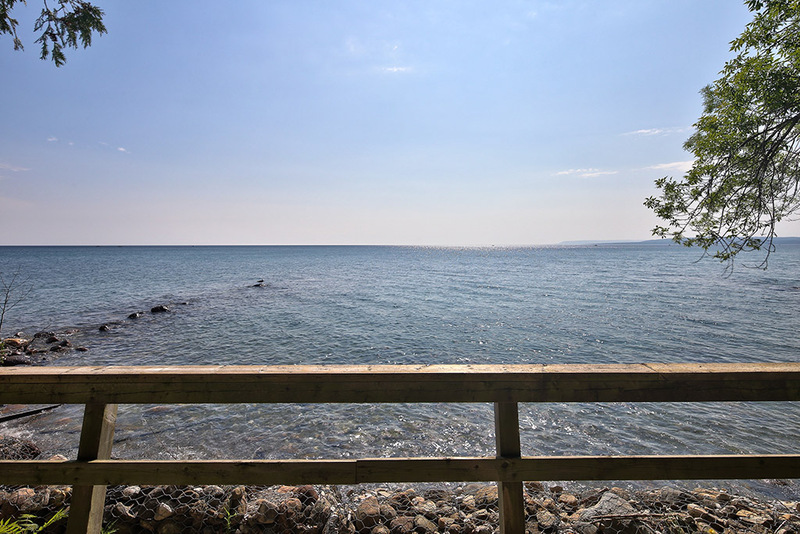 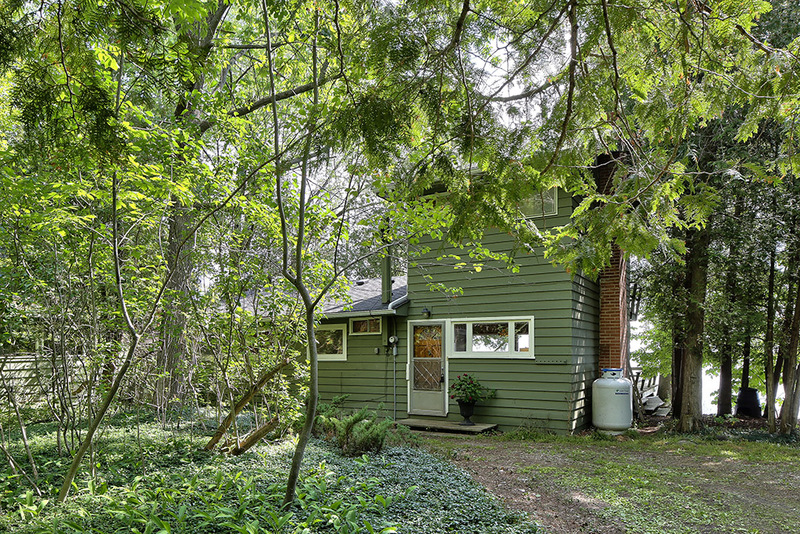 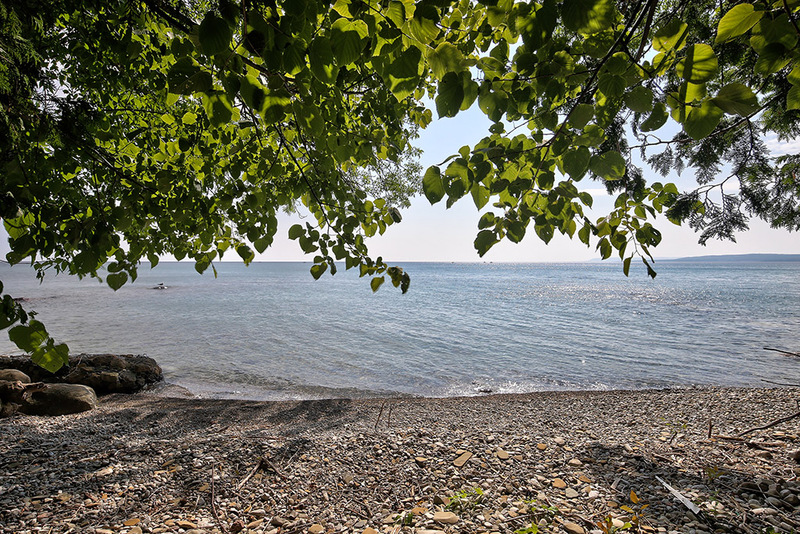 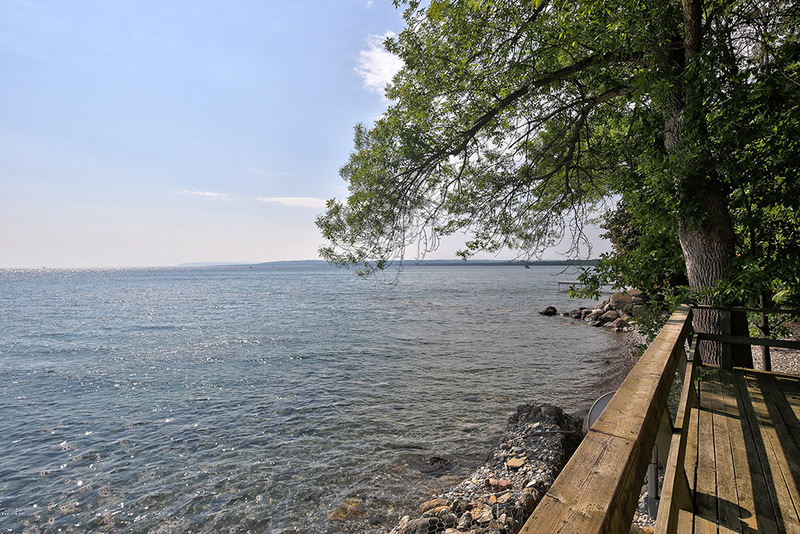 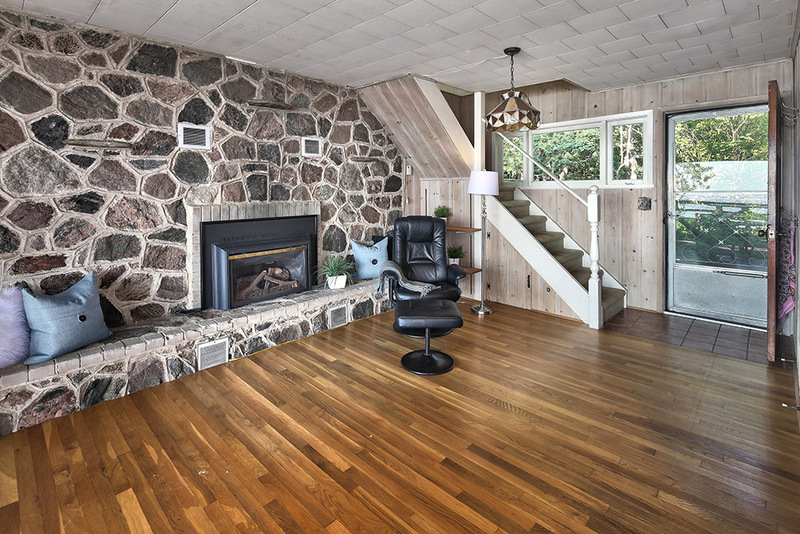 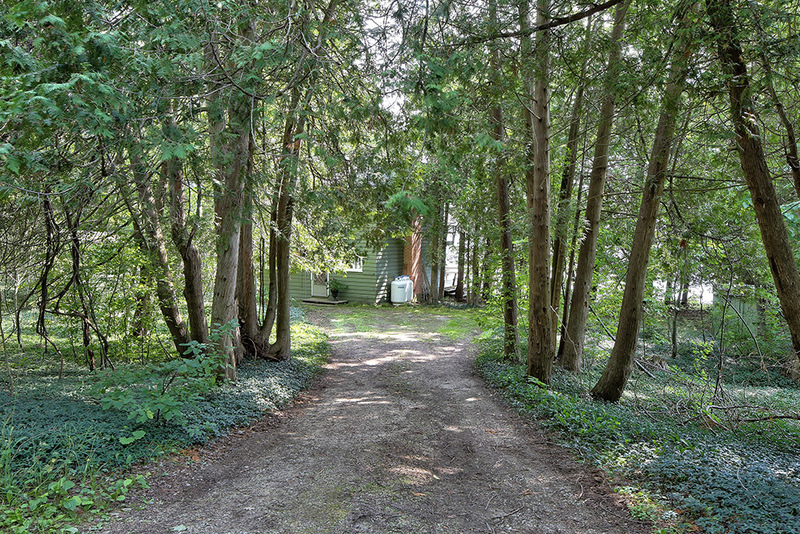 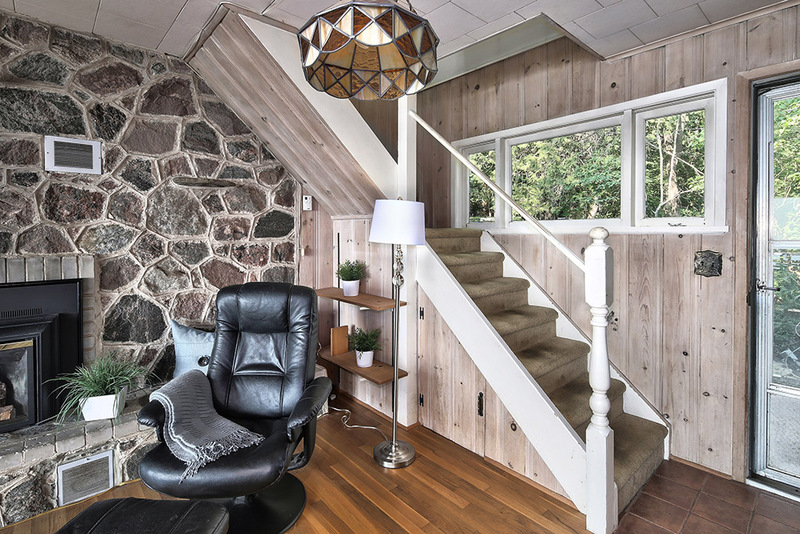 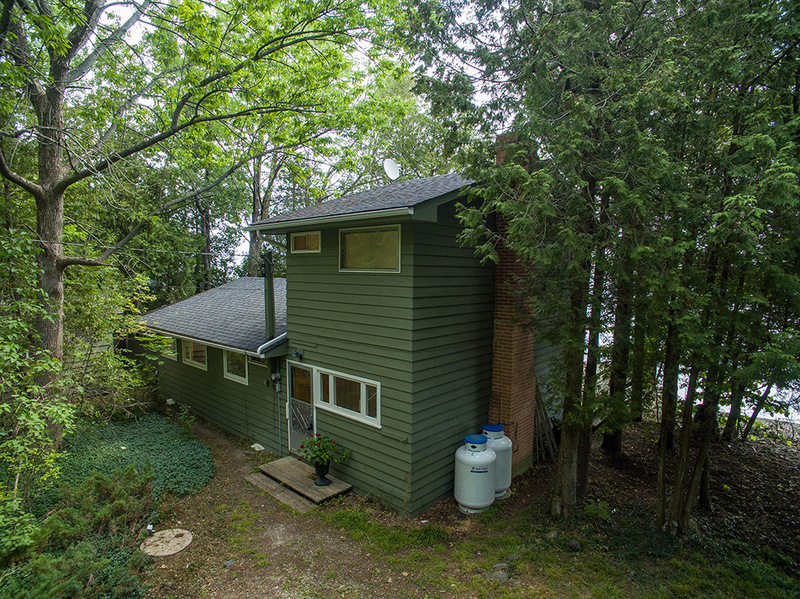 Welcome to 281 Cedar Avenue, Meaford, nestled on a huge treed double waterfront lot, this 1 1/2 Storey winterized home is on a quiet year round road and minutes from downtown Meaford. 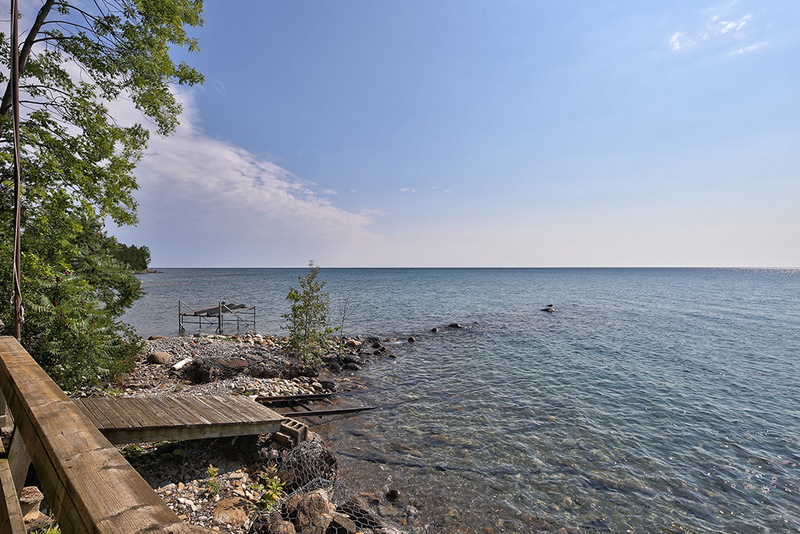 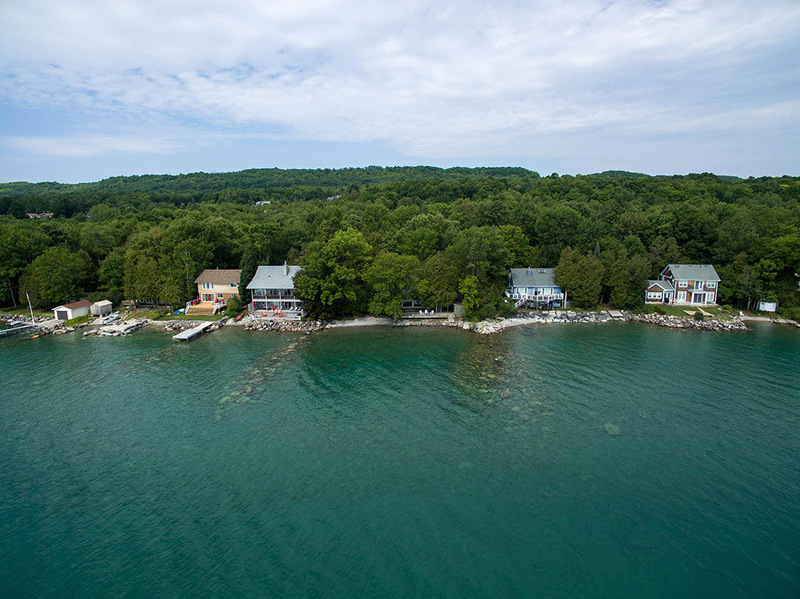 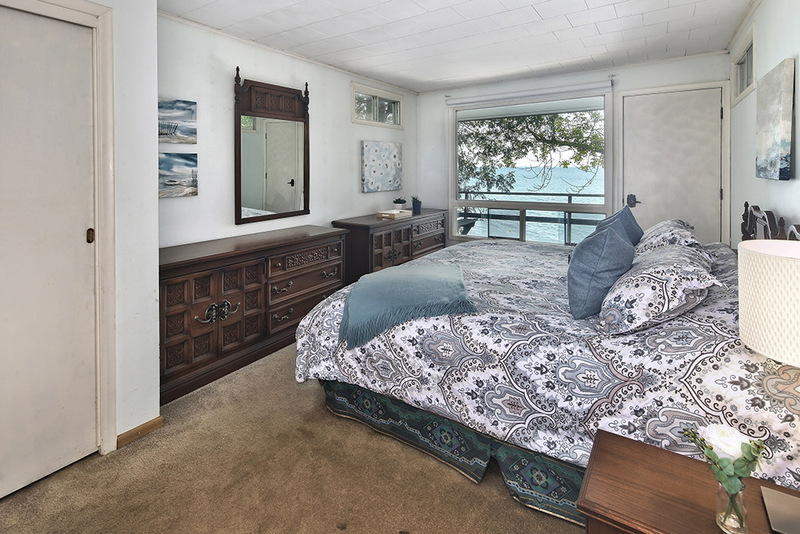 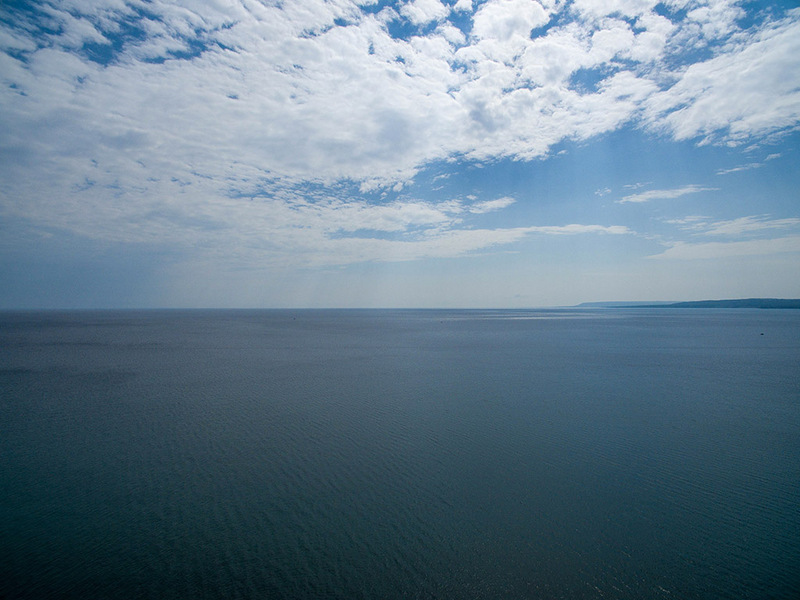 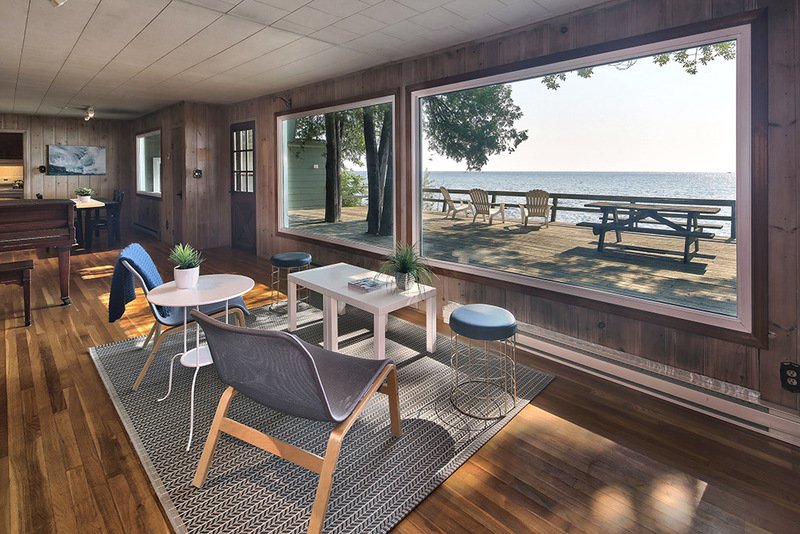 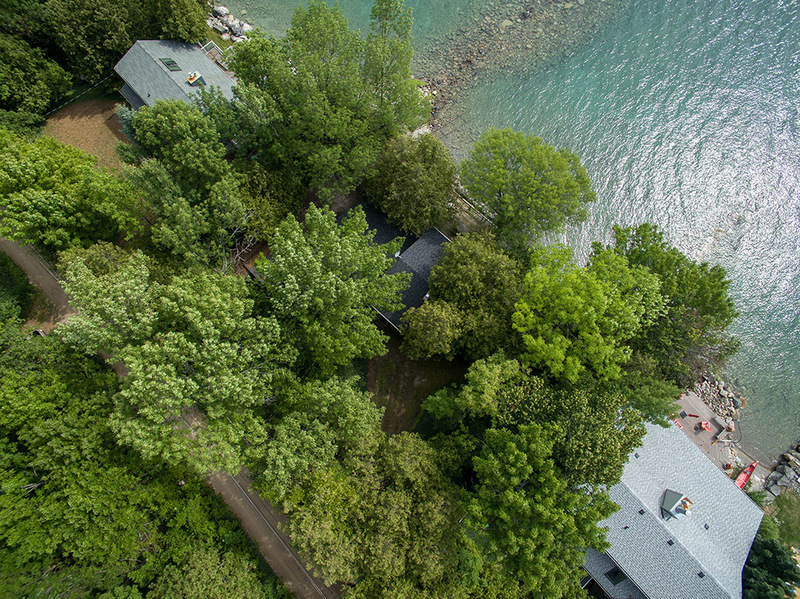 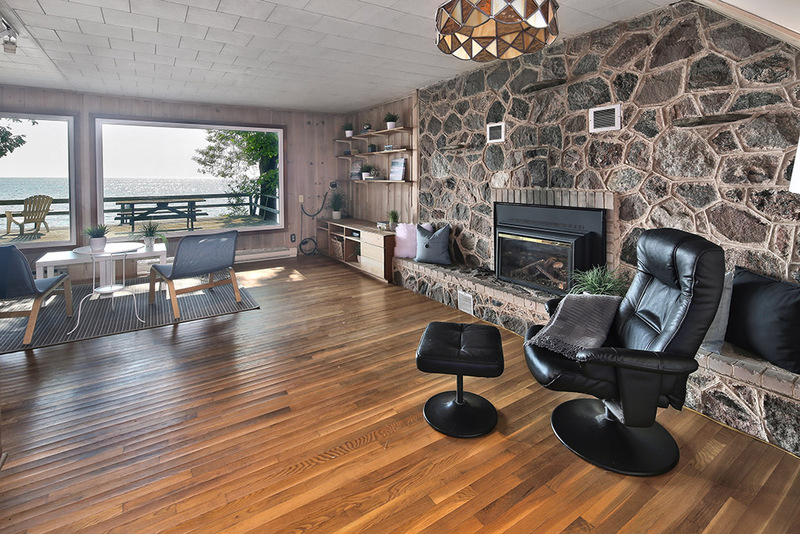 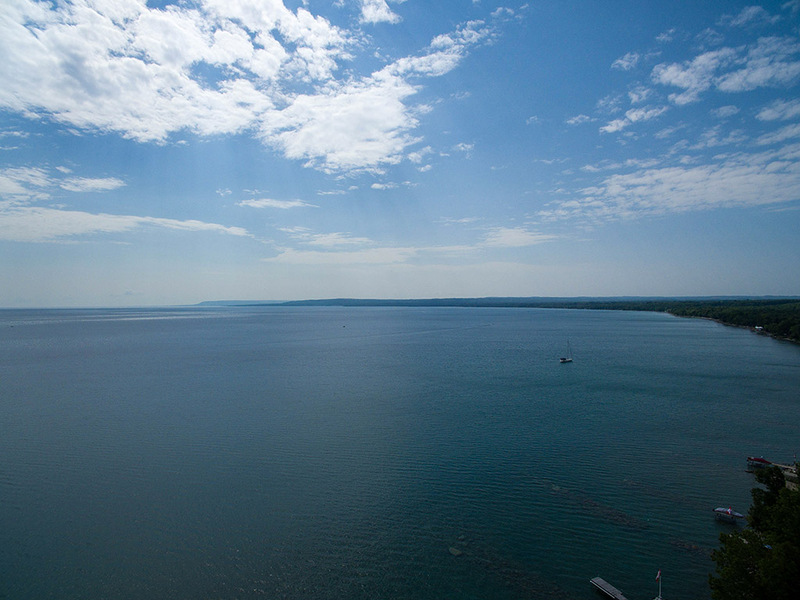 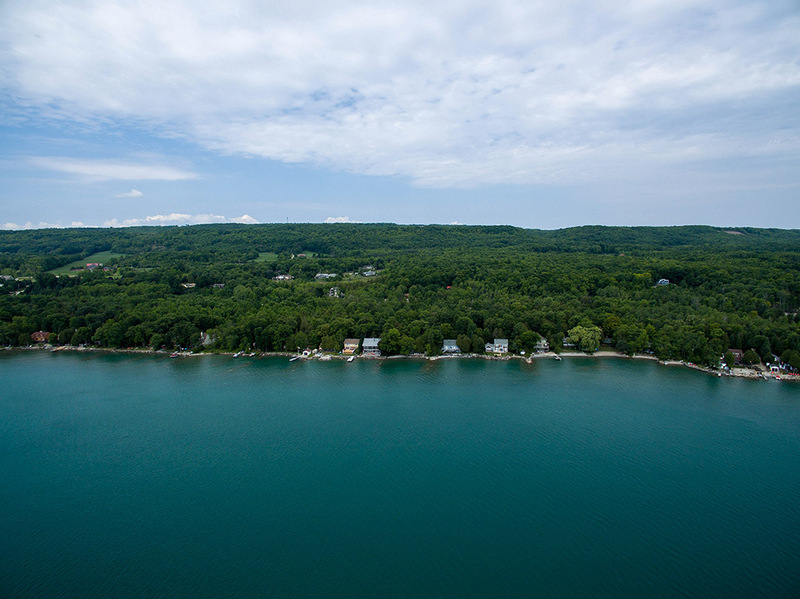 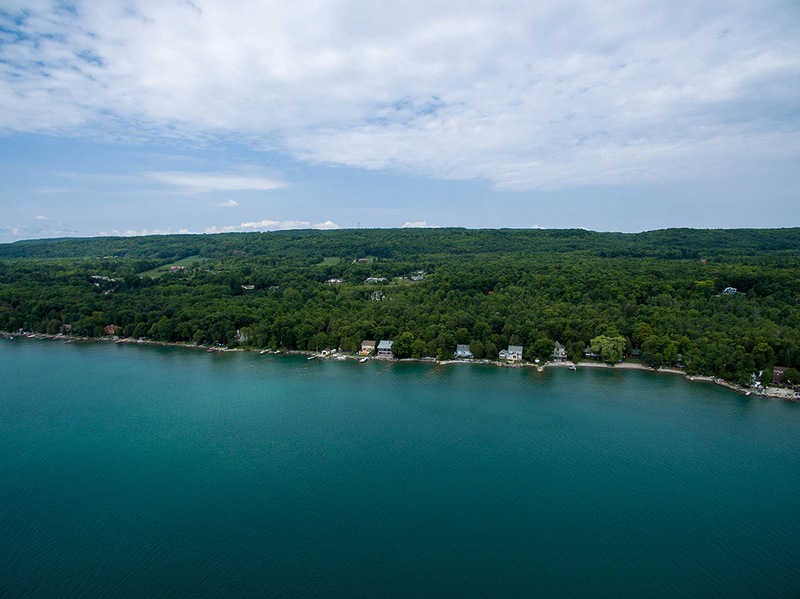 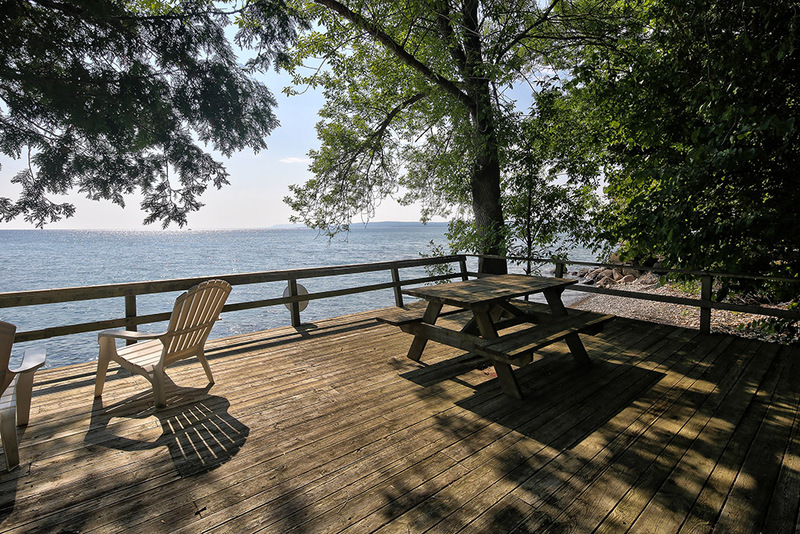 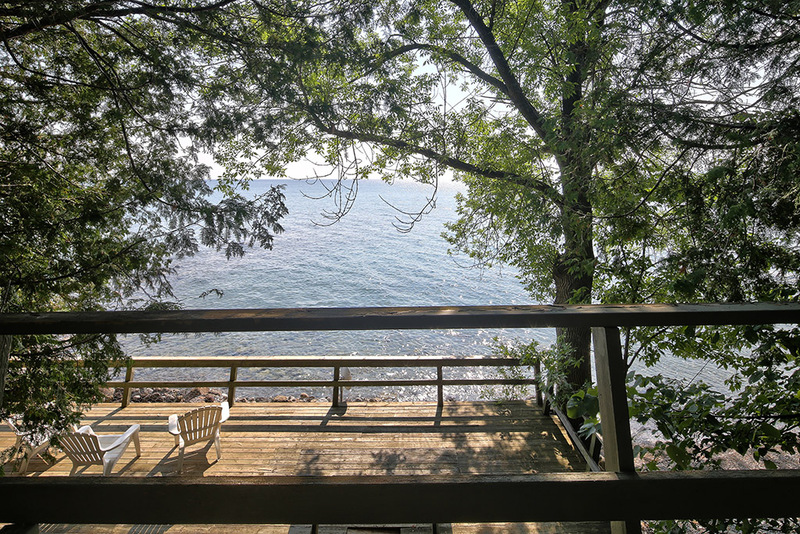 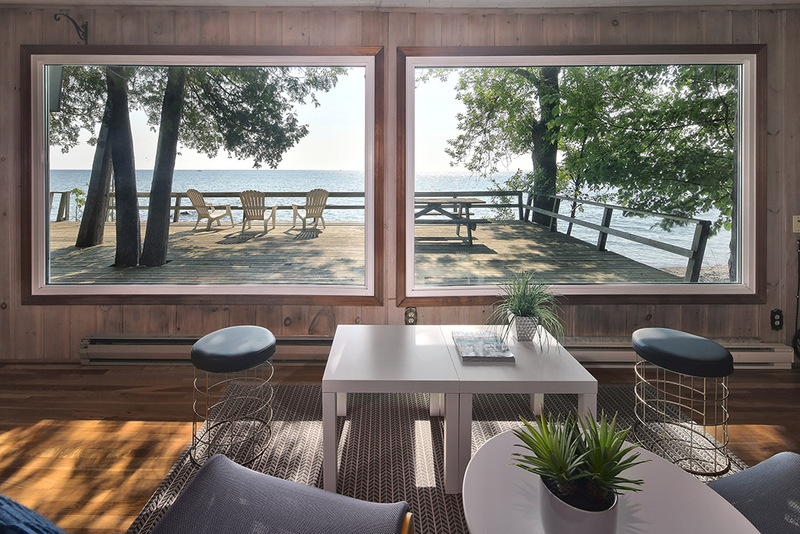 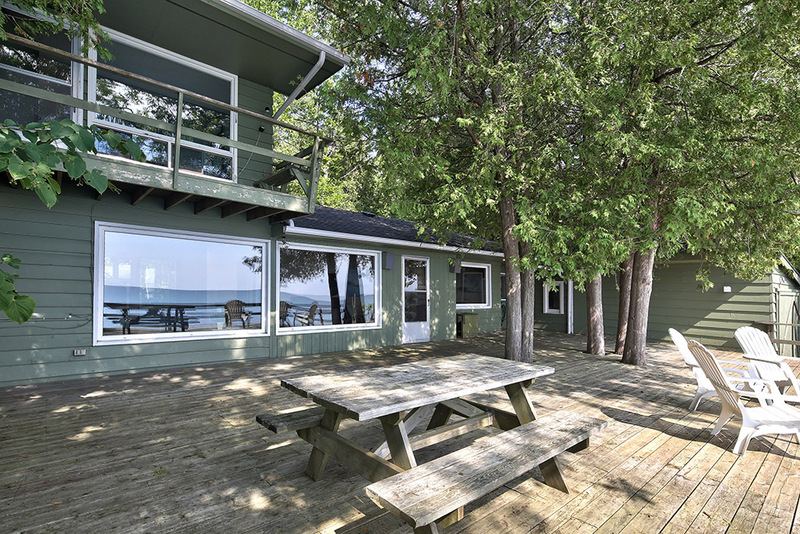 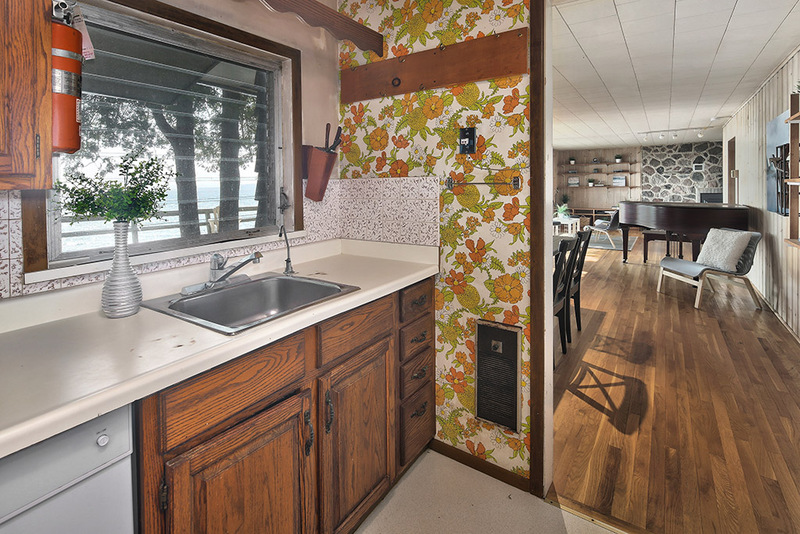 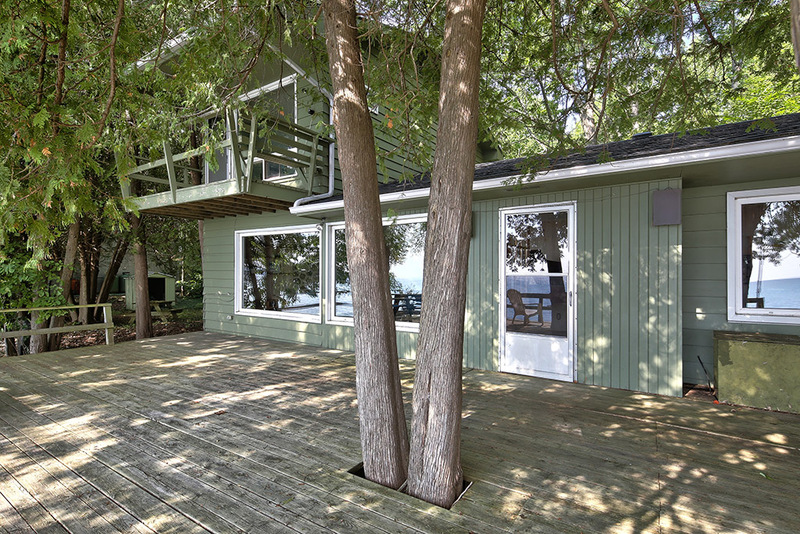 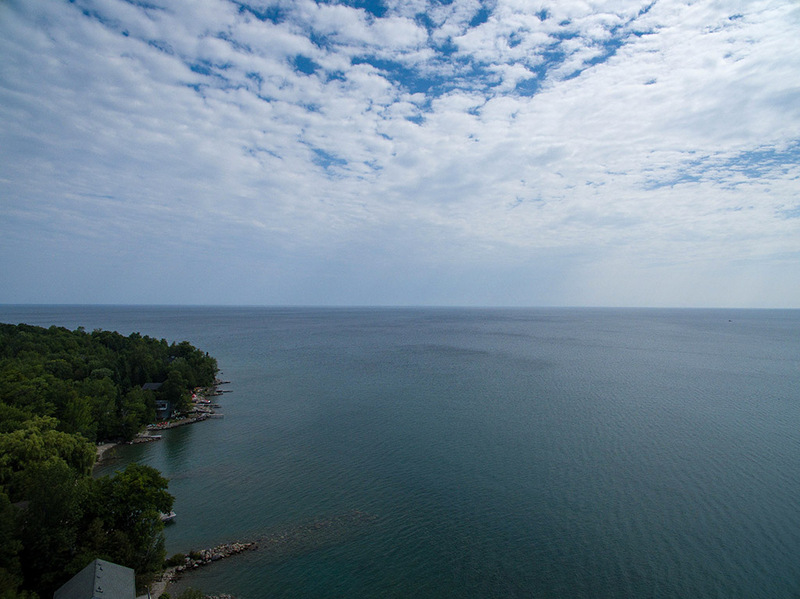 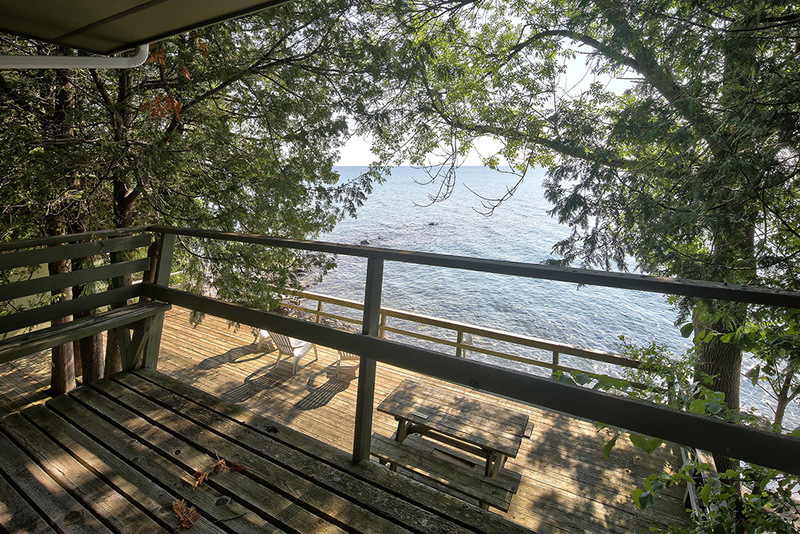 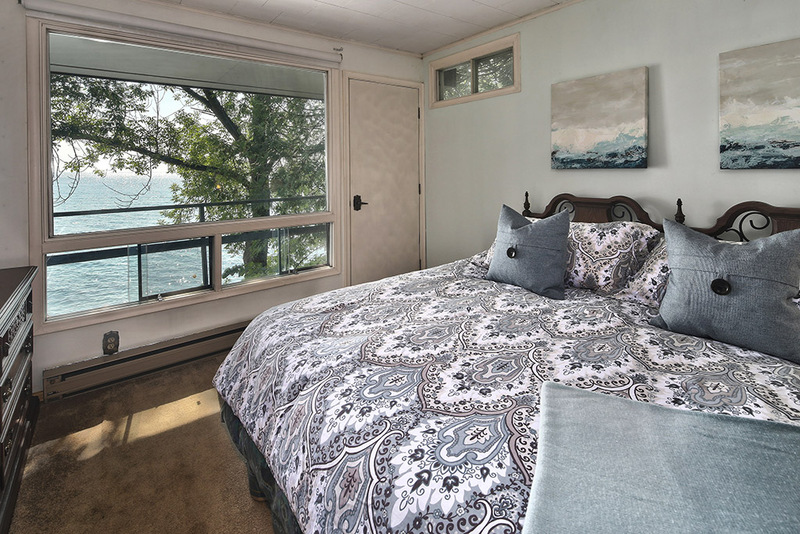 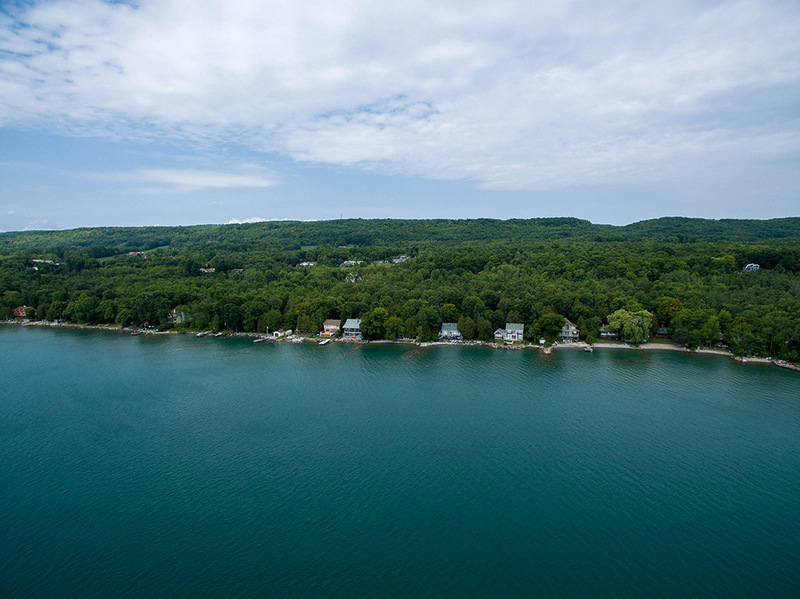 Beautiful clear, unobstructed views of the lake from nearly every room and the huge oversized deck. 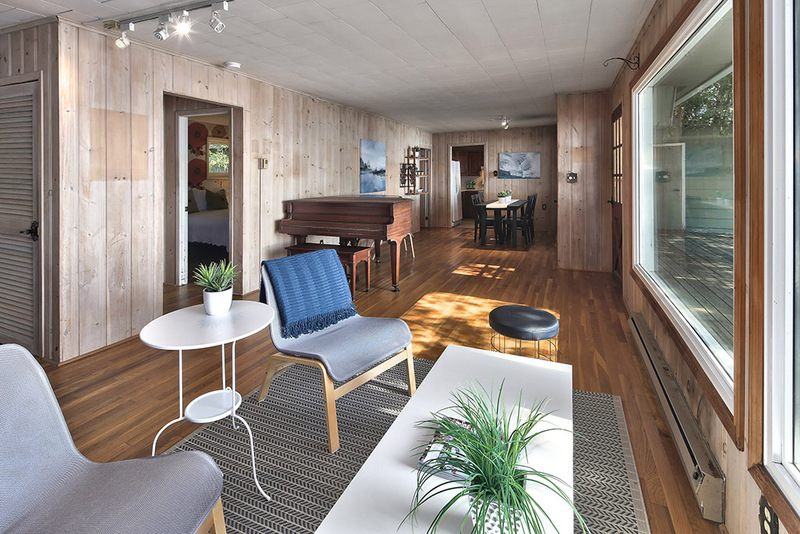 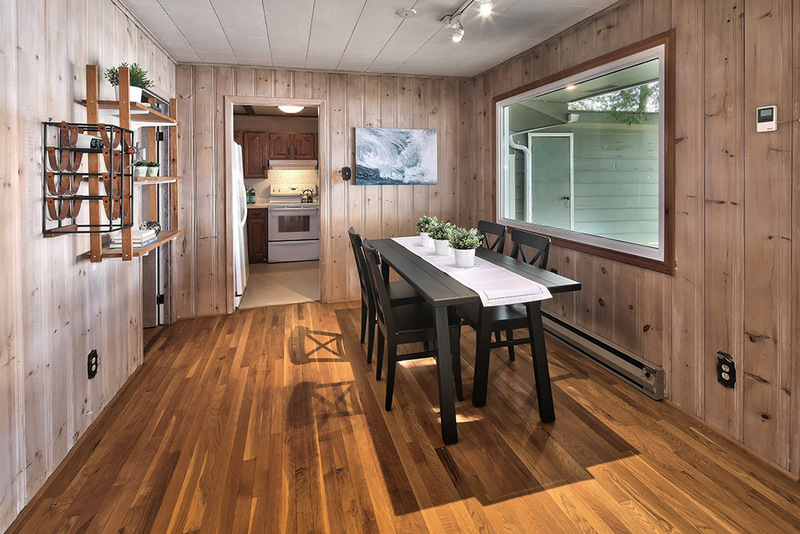 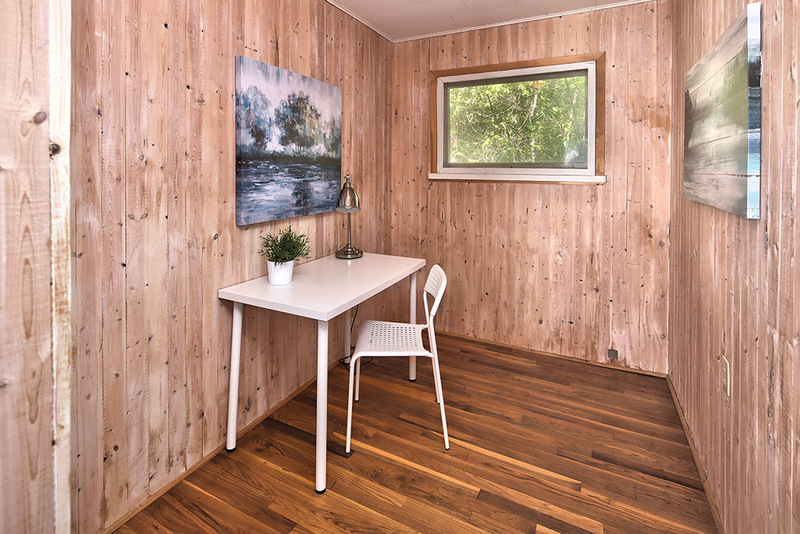 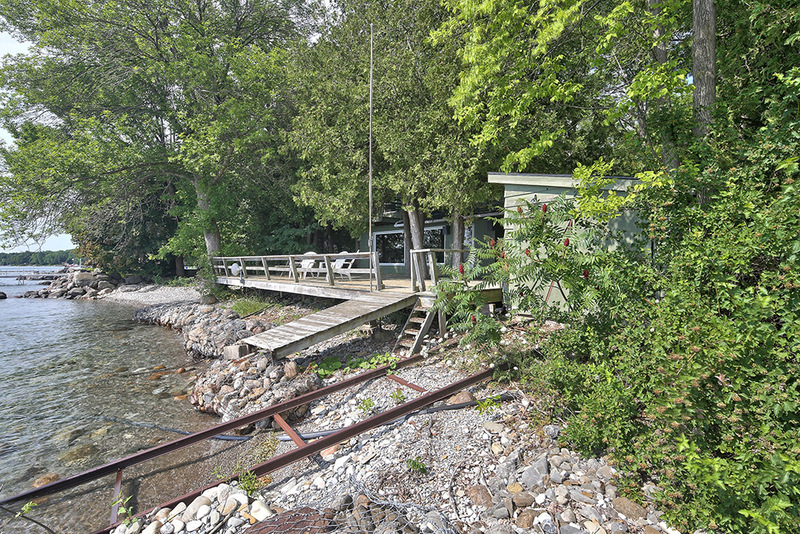 Features a separate Boathouse, bunkie, and exterior storage, walk in beach is perfect for all ages ! 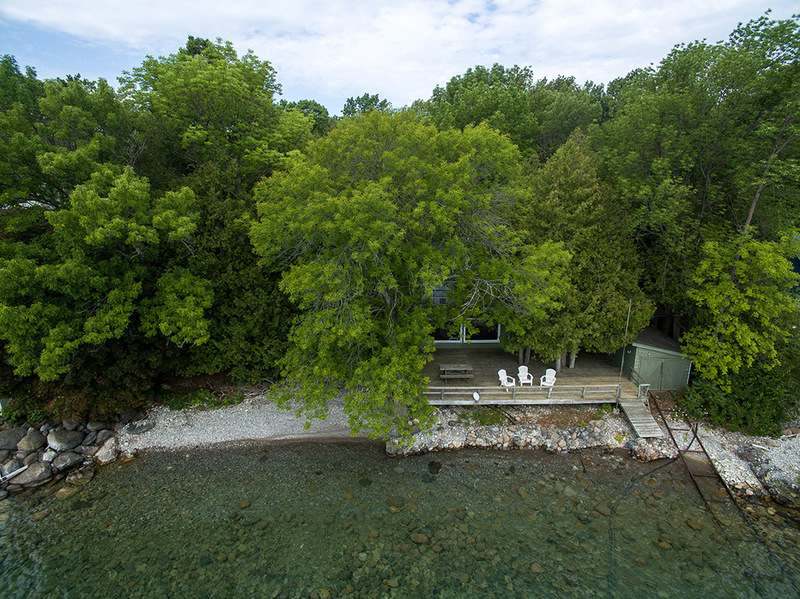 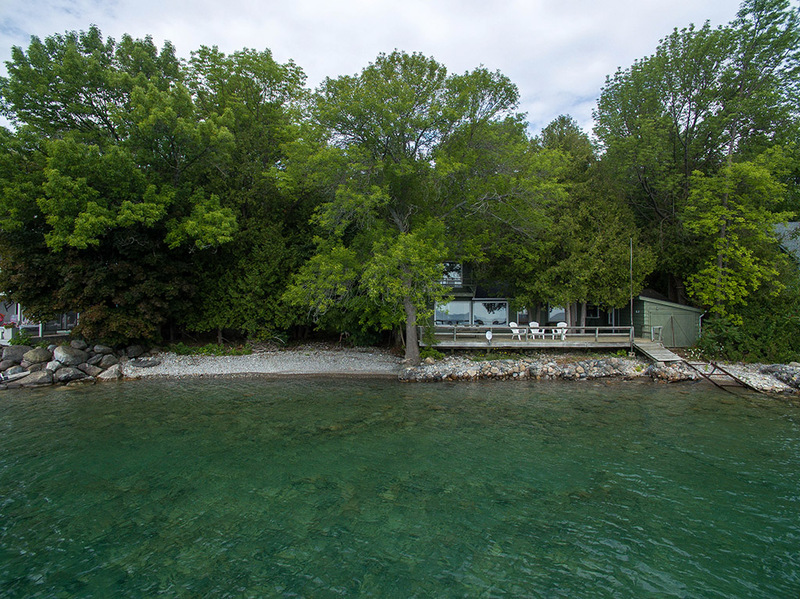 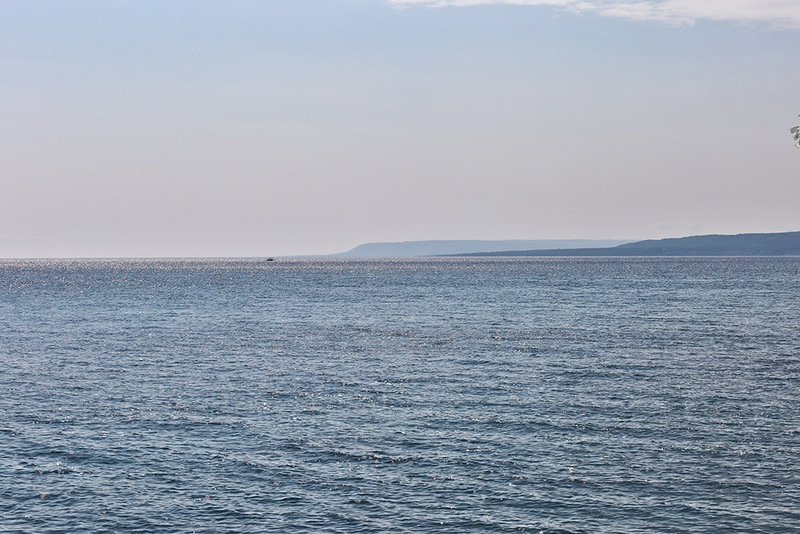 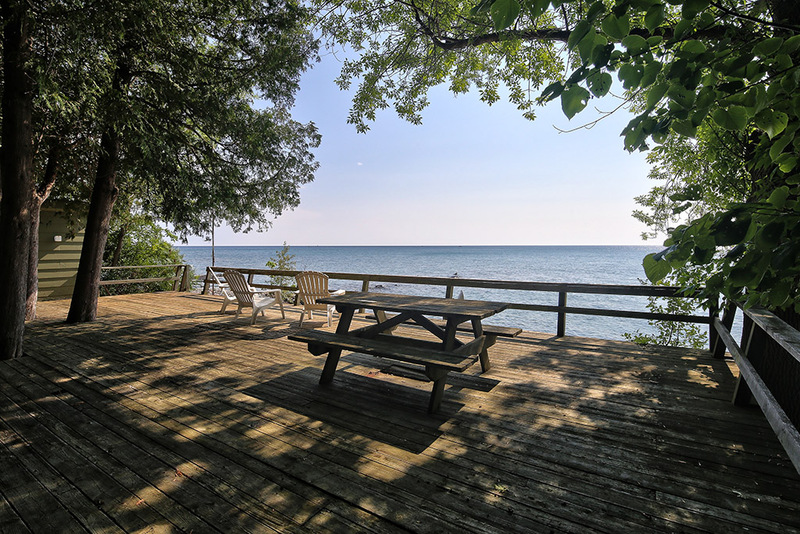 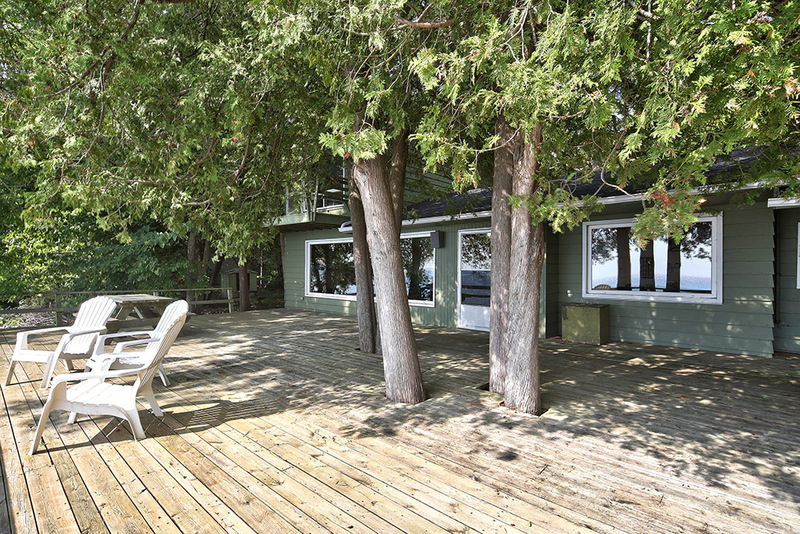 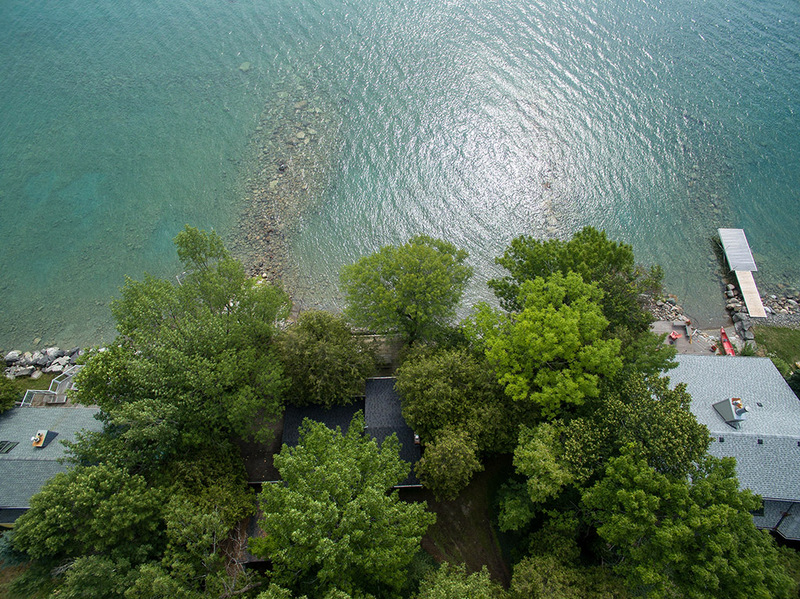 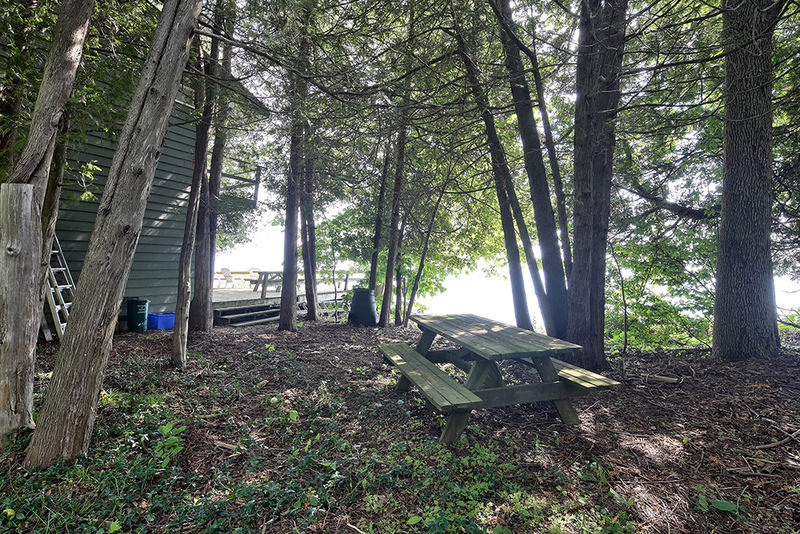 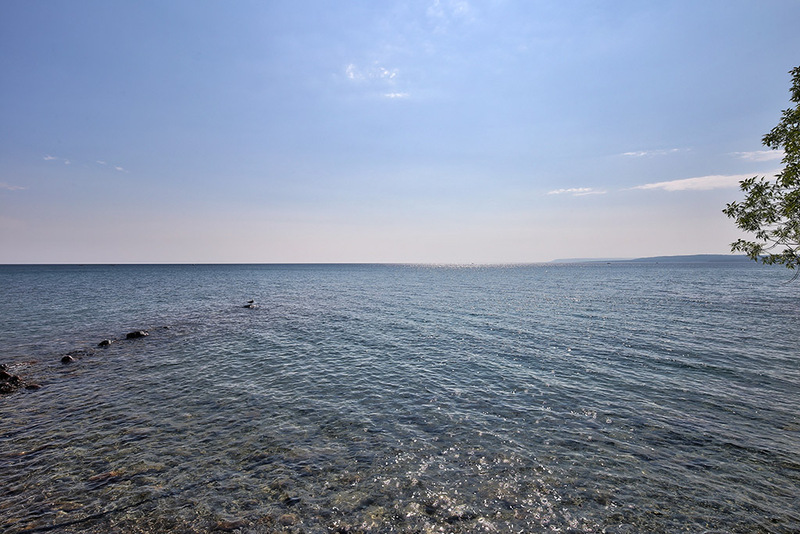 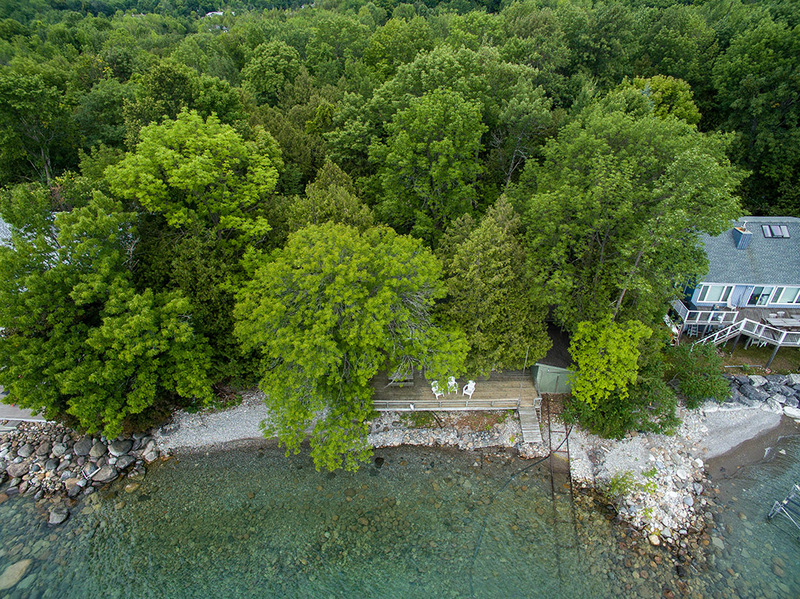 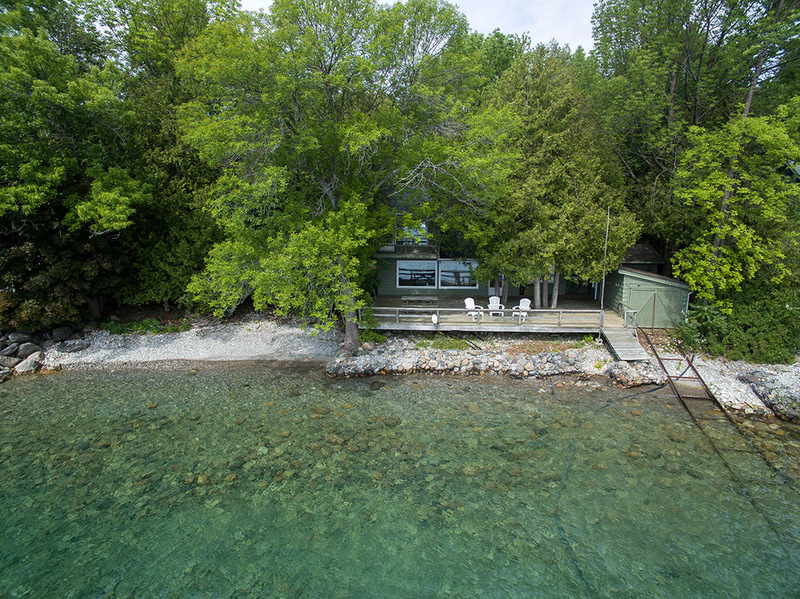 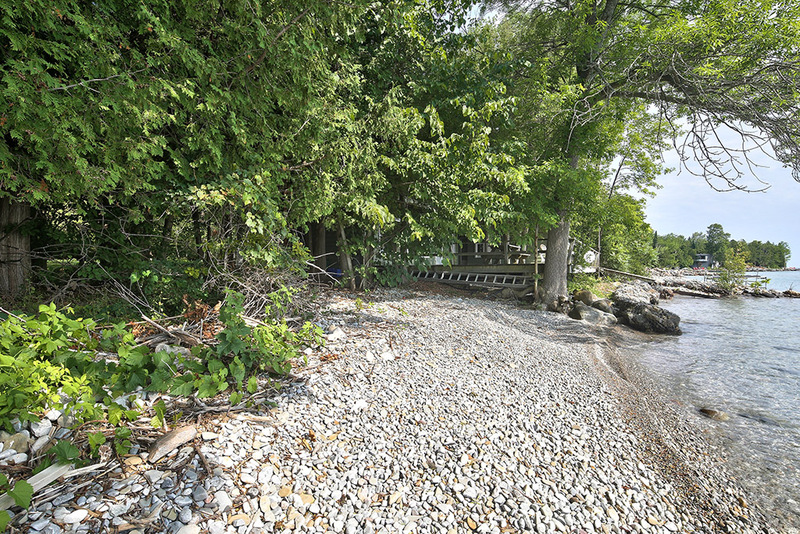 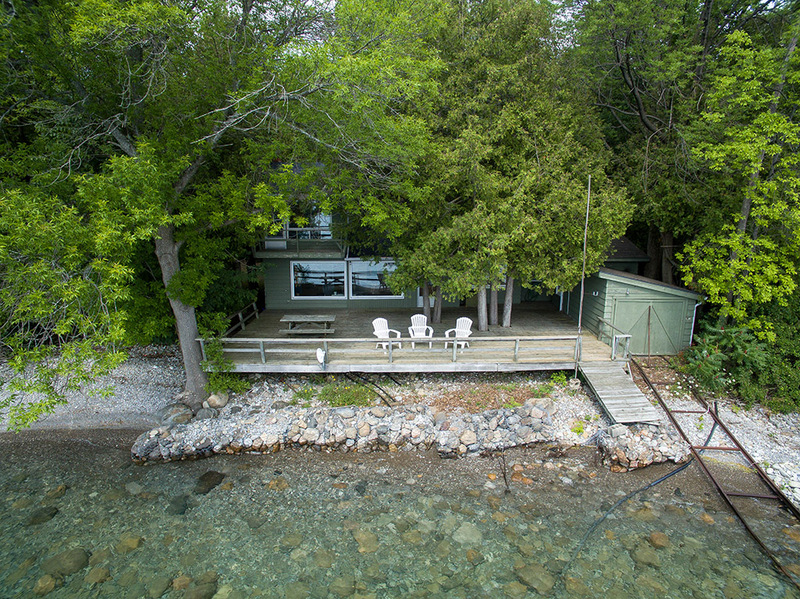 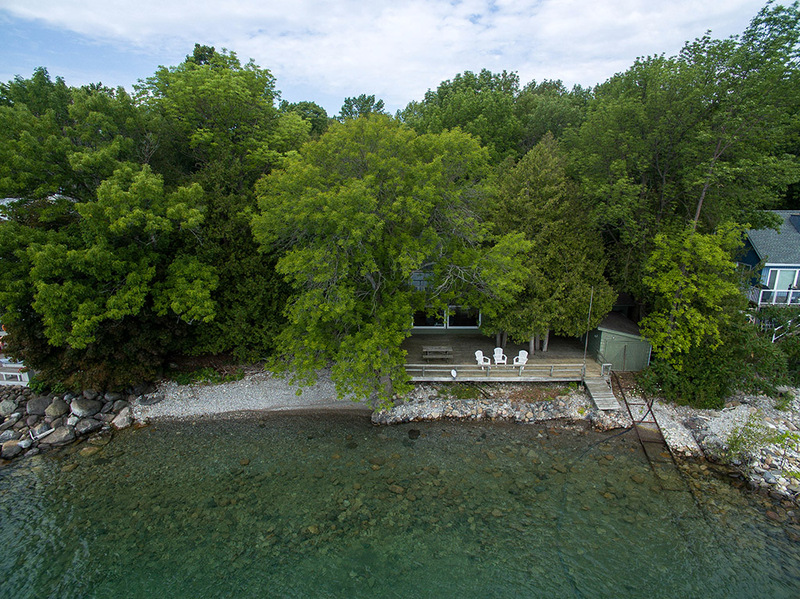 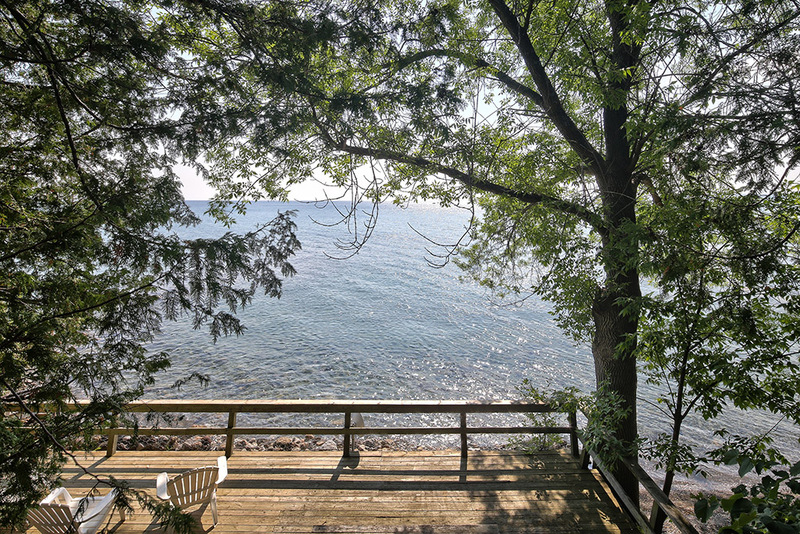 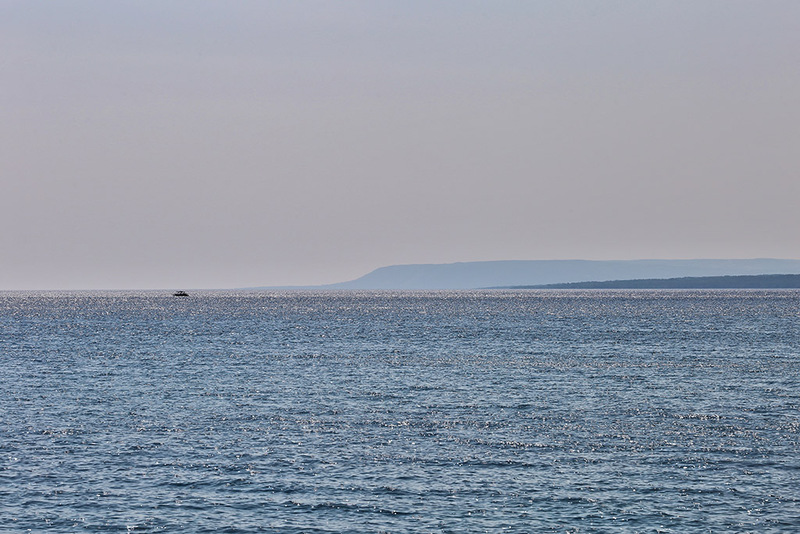 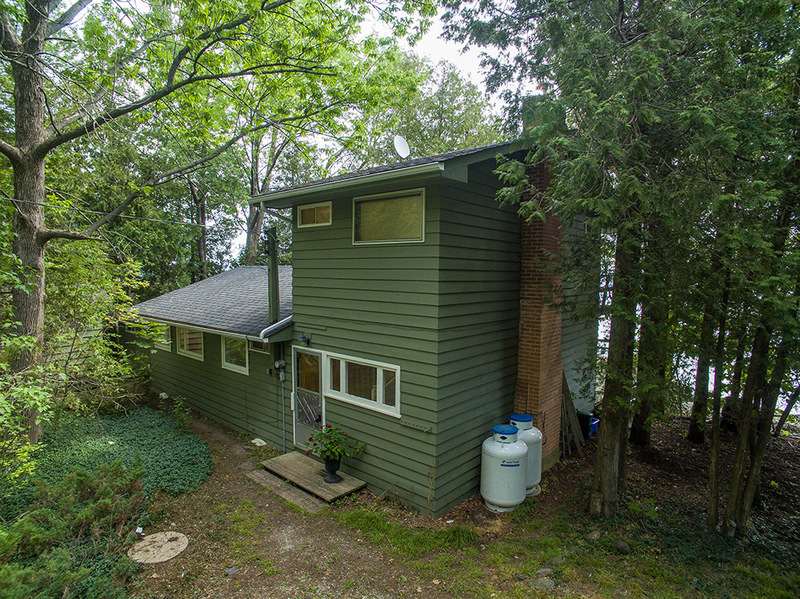 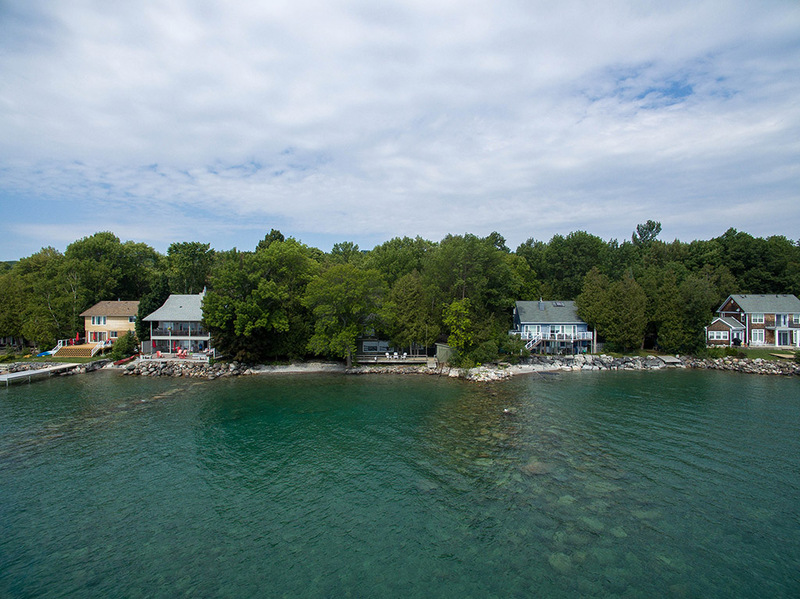 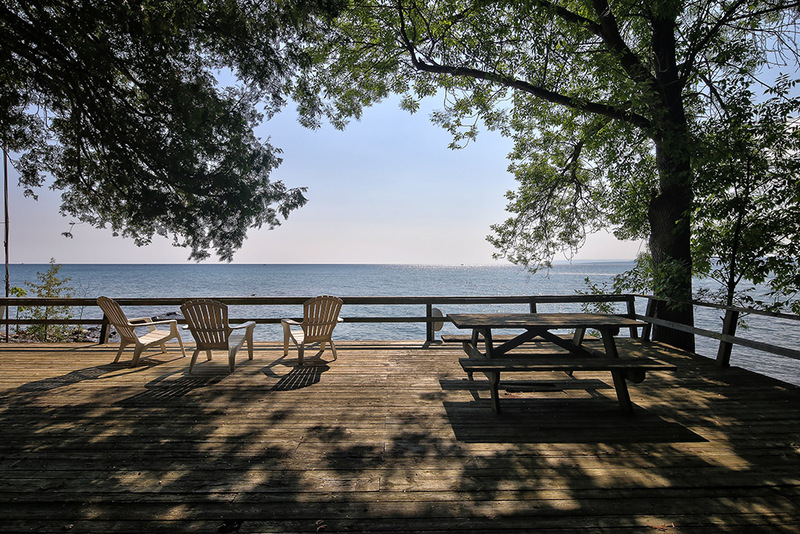 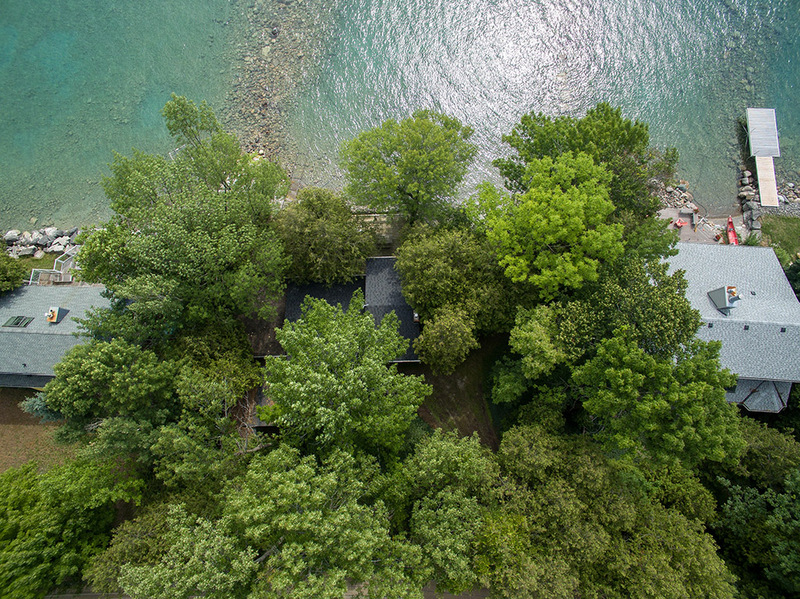 This year round home is situated on a large double wide lot - offering 110 foot waterfront and amazing privacy. 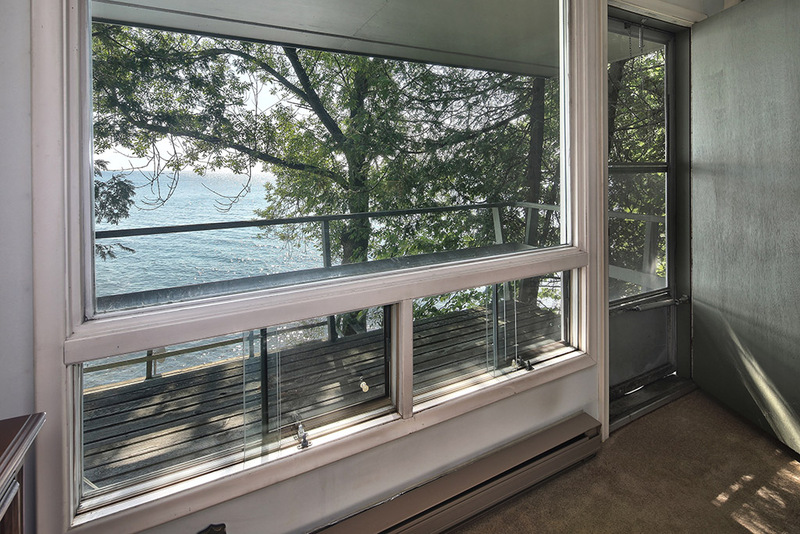 Large oversize deck overlooking the water, Master Bedroom with private balcony overlooking the water and huge wall of windows. 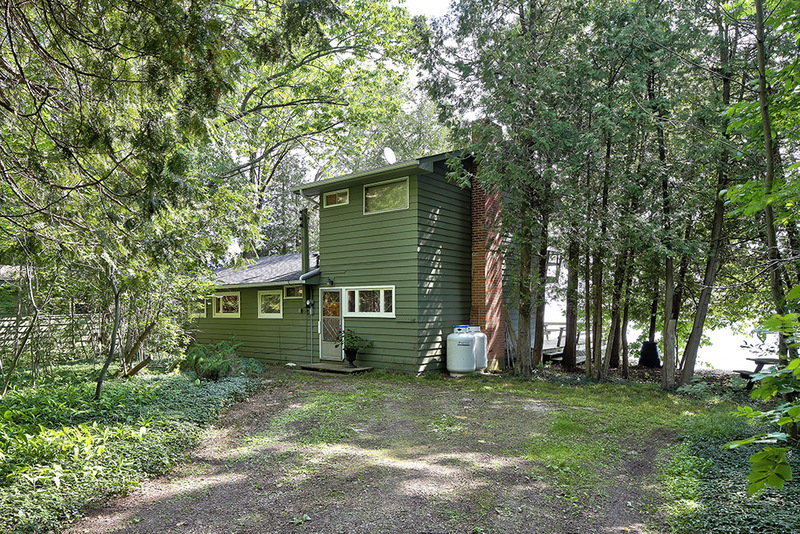 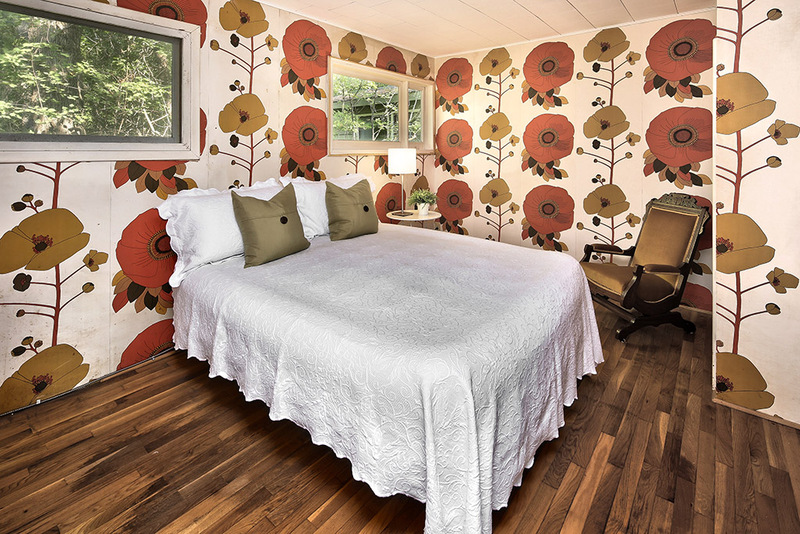 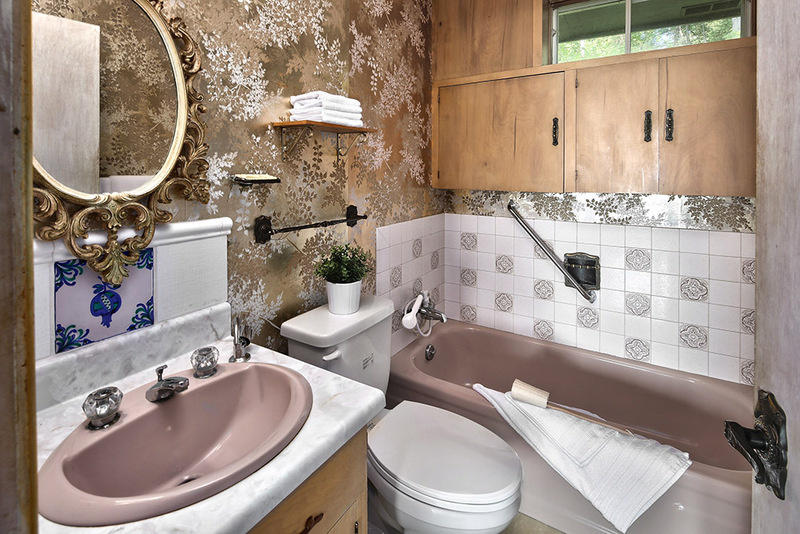 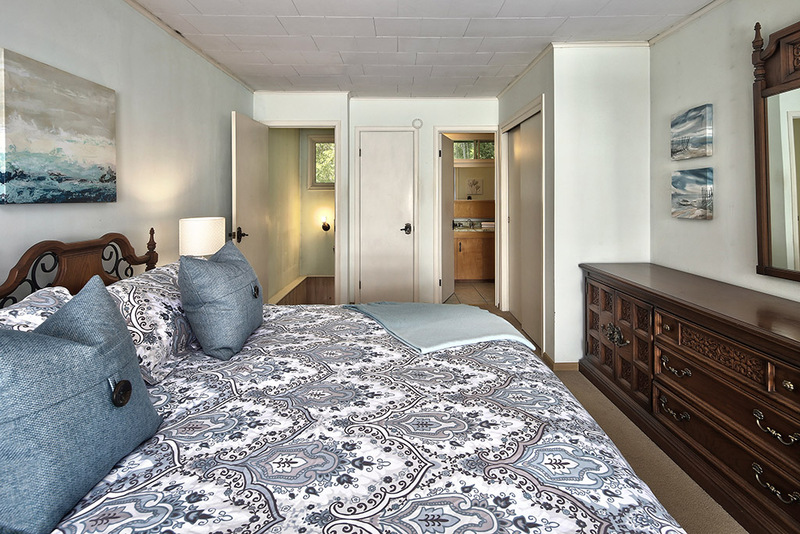 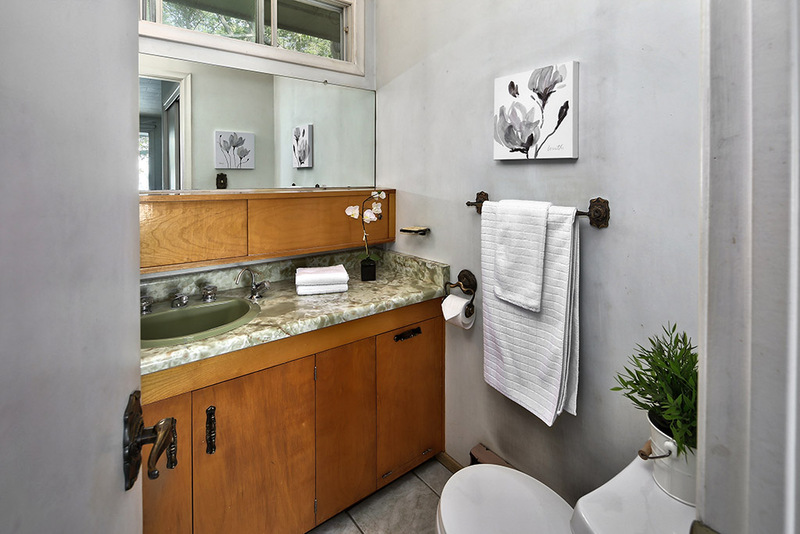 2 main floor bedrooms, large upstairs private Master suite and outside bunkie. 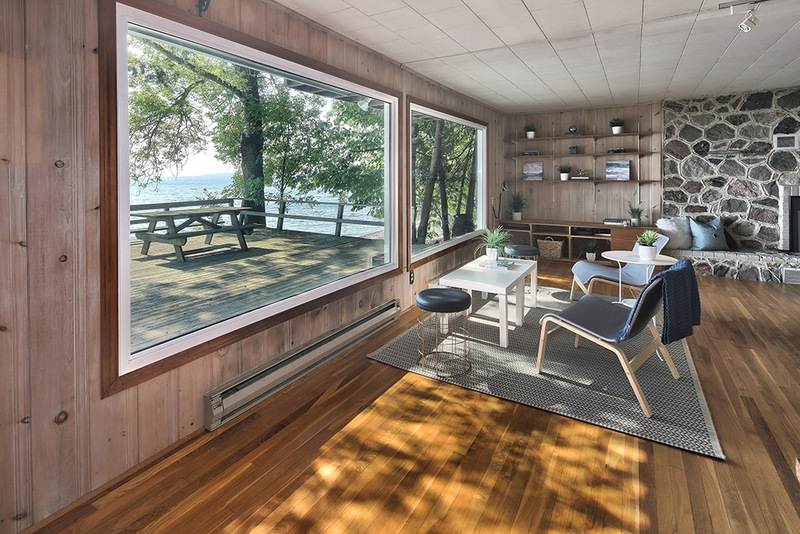 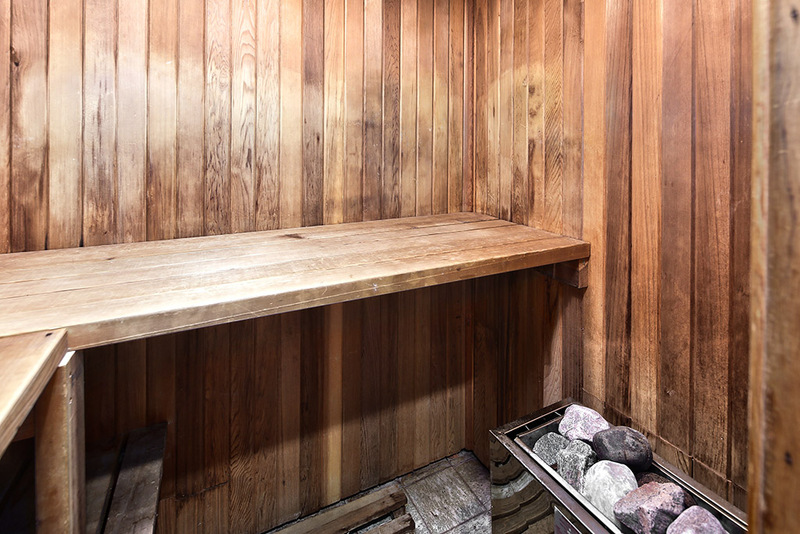 Beautiful stone faced propane fireplace allows you to overlook the water while comfortably warm regardless of weather. 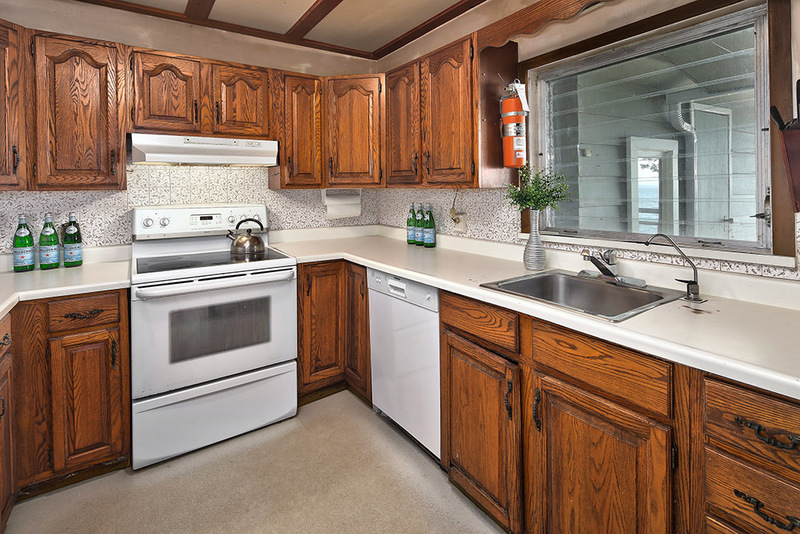 Hardwood floors on main level, clean and well maintained home.